Bonnie Riconda’s jewelry design philosophy is based on her love of brilliant, bright colors, a light feeling of airiness, and of all things truly hand-created by the artist. She uses no pre-made or fabricated parts, but wraps all gemstones and beads by hand, and even makes her own hoops and french wires. 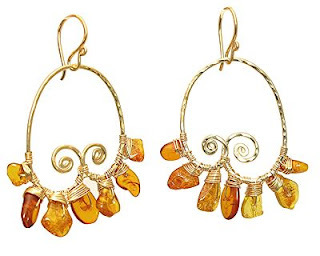 Precious and semi-precious gemstones, austrian crystals, freshwater pearls, and other stones are used in combination to create a wonderful palette of colors in her original designs. 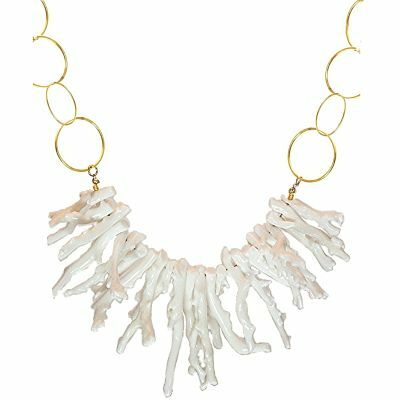 After getting a BFA from York College of PA in 1998 and an MFA in painting and sculpture from Long Island University of New York in 2000, Bonnie’s love of jewelry and creating things by hand determined her course in starting her business Calico Juno Designs. 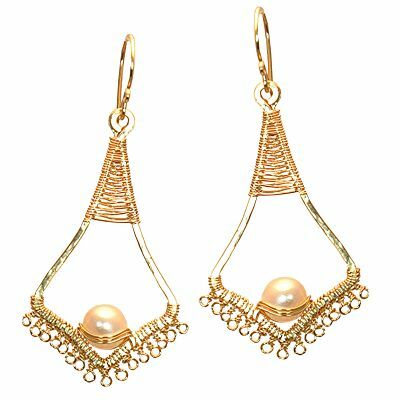 With no experience in jewelry creation, she started experimenting with some gemstones and wire she bought in a little store in Long Island, and after many trial-and-error flops came up with about 30 original designs, and the creation of her website (link above).